The Palestinian teen Ahed Tamimi has been freed from an Israeli prison after eight months behind bars. Seventeen-year-old Ahed became a global symbol of resistance when she was arrested for slapping an Israeli soldier who was trespassing on her property. At the time, Ahed had just learned that Israeli forces had shot her cousin Mohammed Tamimi in the face, leaving him in a coma. Upon her release Sunday, Ahed addressed a crowd of supporters in the occupied West Bank. AHED TAMIMI: From the our home, I say resistance is continuing until the occupation is removed. All female prisoners in jail are strong, and I thank everyone who stood by me while I was in prison and who stood with all women prisoners. AARON MATE: Ahed and her family have become known around the world for their unwavering protest of the Israeli occupation, even the face of constant Israeli military intimidation, and even fatal violence. After her cousin Mohammed was seriously wounded, Israeli forces shot dead another of Ahed’s cousins, 17-year-old Musab Tamimi, at a West Bank protest. But while Ahed and her family have become global heroes, the reaction of Western media and politicians has been quite different. Many Western outlets ignored Ahed’s release. And those who paid attention, such as the BBC and New York Times, portrayed her slapping of an occupying soldier as a violent, aggressive act. Joining me is Ali Abunimah. He is co-founder of The Electronic Intifada, whose latest book is The Battle for Justice in Palestine. Welcome, Ali. If you could start, just for anyone who is unfamiliar with Ahed Tamimi’s story and that of her family, if you could talk about the background to this historic, historic release from prison today, and the significance that her and her family have come to play for the Palestinian struggle around the world. ALI ABUNIMAH: Hello, Aaron. Yes, Ahed Tamimi- who turned 17 when she was in prison, so legally speaking she is still a child- was just released. She leaves behind in Israeli prison almost 300 other Palestinian children. She became sort of an international symbol when she slapped an Israeli soldier on December 15. And her mother Nariman, who also was just released from prison on Saturday along with Ahed, had filmed that and put it on Facebook. So her mother was imprisoned for incitement under the Israeli military law. And what’s so symbolic or typical about this case, you could say, is that she was punished, this harsh punishment of being imprisoned in military detention for eight months, for slapping heavily-armed soldiers. Whereas the soldiers who shot her cousin, blowing, you know, a huge rubber coated metal ball into the back of his, through the front of his skull into the back of his head, necessitating the removal of one third of his skull, nobody has been held accountable for that. No one has been held accountable for the killings of other members of the Tamimi family, more than 20 members of the Tamimi family since the occupation began, or of other Palestinians in the village of Nabi Saleh, or indeed any Palestinians at all. So it symbolizes the notion, the reality that it is Palestinians living under military occupation who are criminalized, while the real criminals are the ones who market themselves, and indeed are marketed by the New York Times and the BBC, as the ones who uphold the law. AARON MATE: Ali, you mentioned Ahed’s cousin Mohammed Tamimi. I want to go to a clip of him where he spoke about his ordeal after being shot by Israeli forces, the incident that happened just before Ahed slapped the soldier on her property. So that is Mohammad Tamimi. Ali, you know, on top of just the surreal scene of seeing a 16-year-old Palestinian teenager jailed for slapping an occupying soldier, then you have this whole thing with her cousin Mohammad, who, he’s shot in the head, left in a coma. Has skull surgery, as you mentioned. But then the Israeli military claims that all this happened because he fell off his bike. And on top of that ludicrous claim, you have Western media outlets taking that seriously. I’m wondering if you could comment on that and tell us what happened there. ALI ABUNIMAH: Yeah. What happened was that, you know, after this- you really have to go into a little bit of the history to understand the Israeli military and political psyche here. Because Ahed Tamimi was not arrested immediately after slapping the soldier. She was only arrested days later when the video went viral, and there were demands from the Israeli public saying how can we let a teenage Palestinian girl humiliate one of our brave soldiers. So she was arrested to appease this extreme right-wing anti-Palestinian sentiment within Israel, so the politicians ordered that. But it immediately became an international embarrassment, because the world saw it very differently from the Israeli public. The world saw a teenage girl resisting heavily armed occupation forces. Then the story of Mohammad Tamimi came out. That became an embarrassment for Israel because, you know, this is a state or an entity that is shooting children in the face. And so they arrested him. And you know, after the images of his badly-deformed head went viral around the world, they arrested him, beat him, and forced him to claim that he’d fallen off his bicycle. Totally ludicrous, because there was all the medical evidence, including the the x-rays and the surgeon’s reports and everything, which were published showing this bullet inside his brain. So it’s just the most thuggish, crude tactics. Now, so that was the point of arresting Mohammad Tamimi, and then using this confession to try to discredit this 15-year-old boy who they’d shot in the head. But this is the Israeli occupation. This is how it works and what it does. AARON MATE: Right. And so what’s amazing is to see Western journalists, how they portray all this. So for example, in the BBC story out on Ahed Tamimi’s release, the first, the headline is: “Ahed Tamimi, Palestinian viral slap video teenager, freed in Israel.” The first sentence is: “A Palestinian teenager who was filmed assaulting an Israeli soldier in the occupied West Bank has been freed after eight months in jail.” So, “filmed assaulting an Israeli soldier.” That’s the, that to them is the top line of this whole story. And further on, they mentioned the, the incident with her cousin Mohammad. But then they give credence to the Israeli story. They say the Israeli military also later contested the cause of Mohammed’s head injury, saying last month the boy had told interrogators he sustained it from falling off a bike. And they don’t weigh in on the veracity of that claim. And this follows many others. I’m going to read you a few more headlines. So you have this new story from The New York Times, its headline: “Ahed Tamimi, Palestinian teenager who slapped Israeli soldier, is released from jail.” And it includes this line. “Ms. Tamimi was arrested in December, days after she was seen on video kicking, hitting, punching, and shoving a heavily-armed Israeli soldier at the entrance to her family home.” And I saw a tweet from the great Professor As’ad Abukhalil, who said that the New York Times is portraying her as some sort of Jean Claude Van Damme action hero. It’s just this ridiculous way to describe a Palestinian teenager, and in the face of a heavily-armed Israeli soldier. ALI ABUNIMAH: Yeah. You know, it’s interesting, because the typical way that this mainstream Western media reports on Israel’s violence against Palestinians is always in this he-said she-said manner where, you know, the Palestinians say this and the Israeli army says that. Even when there is incontrovertible evidence that allows journalists to say, well, the Israeli army says this. But the evidence shows that they’re lying. The evidence shows that actually the boy was shot in the head with a rubber-coated steel bullet, and we can go and talk to the surgeons who removed the bullet from his head. We can look at the x-rays and the MRI scans which were published et cetera. Even when there’s evidence they treat it as though it’s unknowable. And you have to contrast that with how the same media covers, for example, Syria, where any claim taken by groups opposed to the government is taken as incontrovertible fact. The BBC routinely reports that as uncontested. We’ve seen that time and again. And we’ve also seen that with an issue you’ve covered brilliantly, Aaron, which is Russia, where any unsubstantiated claim gets headline treatment. Actual evidence of Israel’s abuses is rarely reported, and that there are few situations where there is more evidence. Human rights groups, U.N. organizations, media themselves have been documenting this for decades. But then it always ends up being reduced to these unknowable he-said she-said claims. AARON MATE: All right. So we’ll pause there and come back in part two, where we’ll talk about the latest in Gaza, where Palestinians every week continue to come out to protest the Israeli besiegement of their territory, and continue to get shot down by Israeli snipers. Three more killed on Friday. My guest is Ali Abunimah. He is co-founder of The Electronic Intifada. His latest book is The Battle for Justice in Palestine. A few weeks ago, a senior Greek Orthodox clergyman in Israel attended a meeting at a government office in Jerusalem’s Givat Shaul quarter. When he returned to his car, an elderly man wearing a skullcap came and knocked on the window. The clergyman preferred not to lodge a complaint with the police and told an acquaintance that he was used to being spat at by Jews. Many Jerusalem clergy have been subjected to abuse of this kind. For the most part, they ignore it but sometimes they cannot. Countries of the NATO military alliance have been ordered by President Trump to increase their spending on weapons, and the reasons for his insistence they do so are becoming clearer. 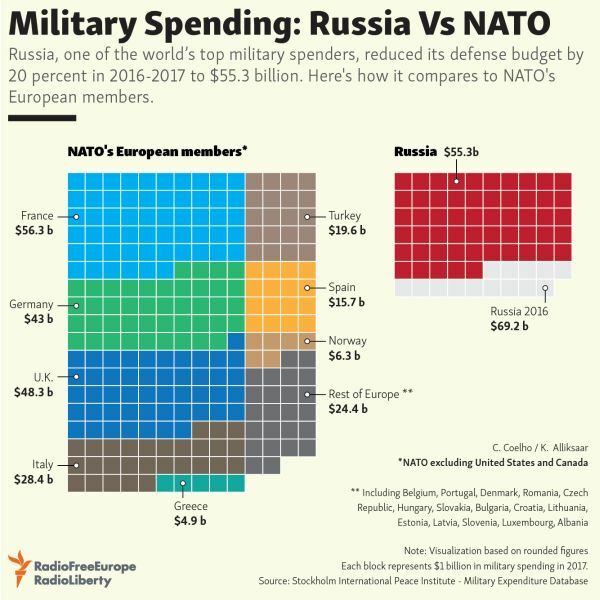 It’s got nothing to do with any defence rationale, because, after all, the Secretary General of the US-NATO military alliance, Jens Stoltenberg, has admitted that “we don’t see any imminent threat against any NATO ally” and the Stockholm International Peace Research Institute recorded in its 2018 World Report that “at $66.3 billion, Russia’s military spending in 2017 was 20 per cent lower than in 2016.”Even Radio Free Europe, the US government’s anti-Russia broadcaster, records that Russia has reduced its defence spending.